To elevate Workspace Group as more than just a provider of business space – to build up a reputation that the company can help small businesses grow by widening their offering to provide business advice and networking opportunities for their customers. H&B's strategic approach to the brief, coupled with their in-depth understanding of our business, has resulted in a successful brand repositioning. 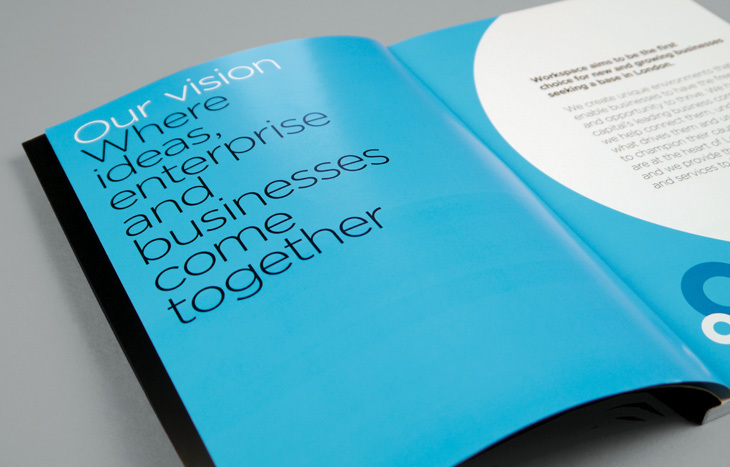 Our ongoing relationship ensures that our communication materials remain clear, consistent and true to our brand. We carried out a thorough programme of research involving both internal and external workshops, plus focus groups to explore what existing customers found good and bad, and what potential customers look for when searching for business space. This formed the basis of the entire project and led to a new brand identity and positioning. The new brand is now being rolled out across estate signage, digital and printed marketing communications. 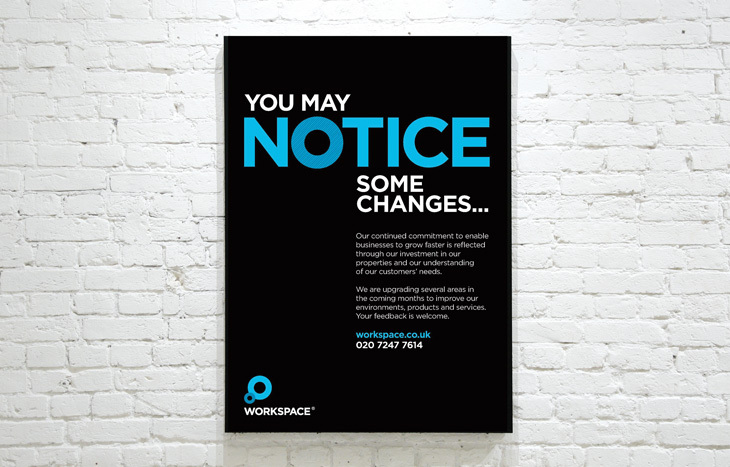 A new brand identity and an elevated brand position that places the customer at the heart of everything Workspace does and offers. Share price up over 75% and entered FTSE 250 within a year of the re-brand. The design solution is an evolution of the previous identity and represents growth, innovation, inspiration, collaboration and community. The word ‘Group’ was removed to make it more friendly and approachable. The identity appears in 9 colourways to reflect the wide array of different character properties within their extensive portfolio. 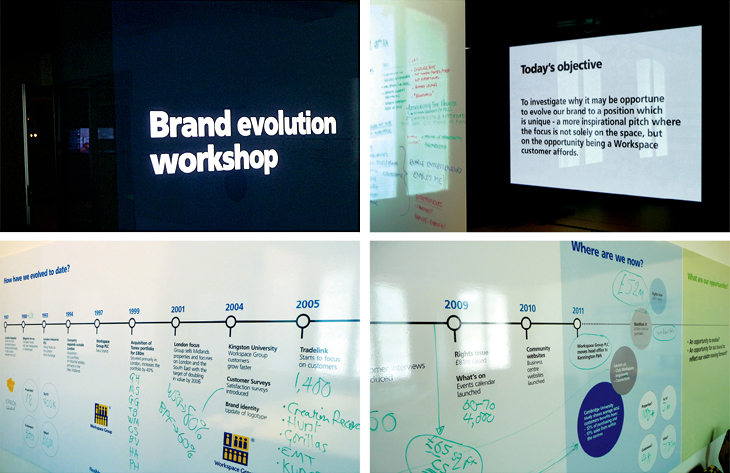 Internal and external brand workshops and focus groups explored current brand perceptions and played a pivotal role in enabling us to establish the final design brief. 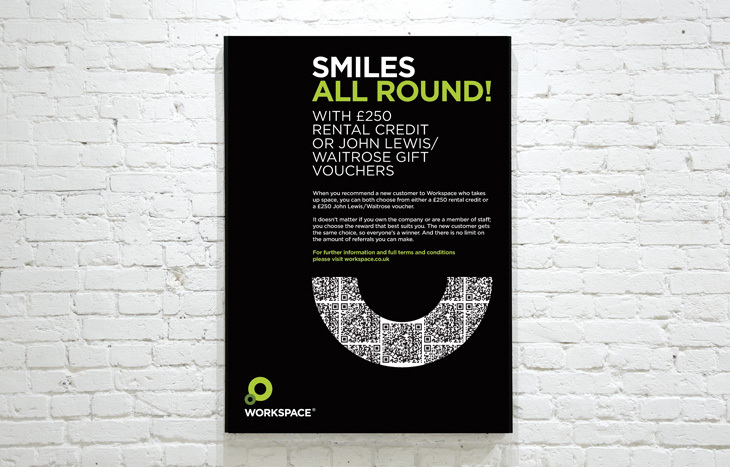 Extensive and detailed colour testing was carried out to ensure accuracy for both print and digital applications. 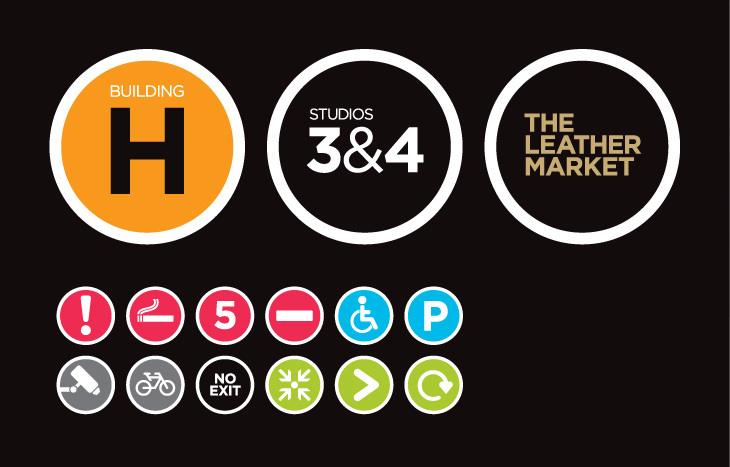 Colour-coded for head office and to identify different business centres. Establishing the rules to ensure consistency of application. 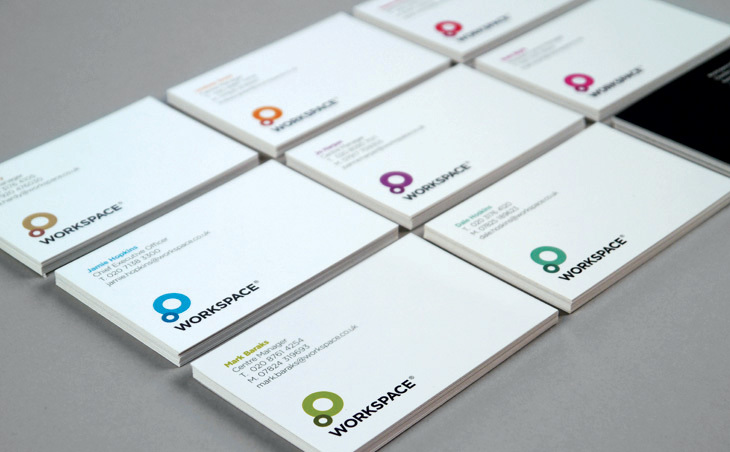 The tone of voice, colour scheme and circular elements combine to create a distinctive visual identity. Part of the process was to create and develop key messaging to help reinforce the elevated brand position. A comprehensive guide to the company and what it has to offer SMEs. 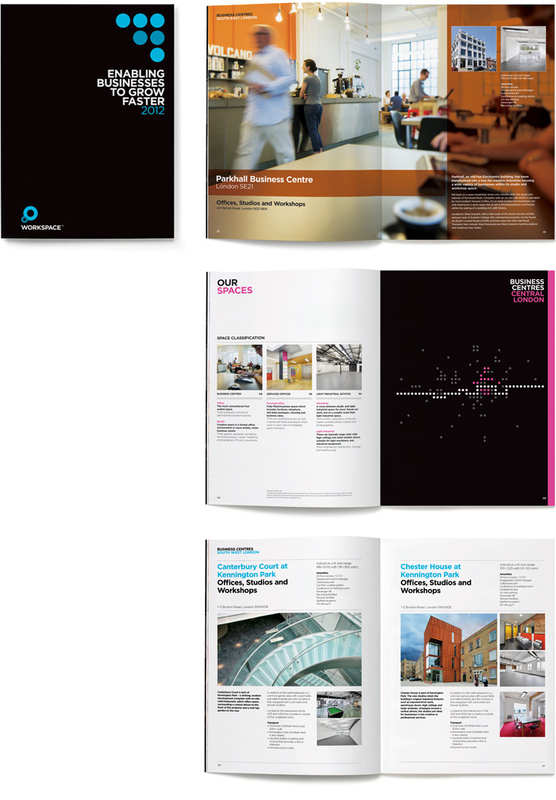 It features customer case studies, business advice, full details of all their products and services, plus an extensive listing of their property portfolio. 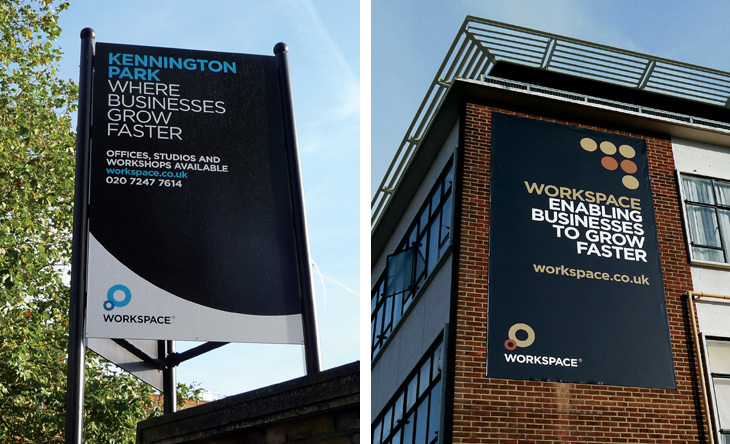 Over 100 business centres across London are currently being upgraded with new estate signage and banner advertising. Everything from large hanging banners and metal tray entrance signs to building specific signs and generic site notices.